This example shows how to acquire and display sound pressure data from a PCB® IEPE array microphone, Model 130E20. The sensor is recording sound pressure generated by a tuning fork at Middle C (261.626 Hz) frequency. To discover a device that supports Microphones, click the name of the device in the list in the Command window, or access the device in the array returned by daq.getDevices command. 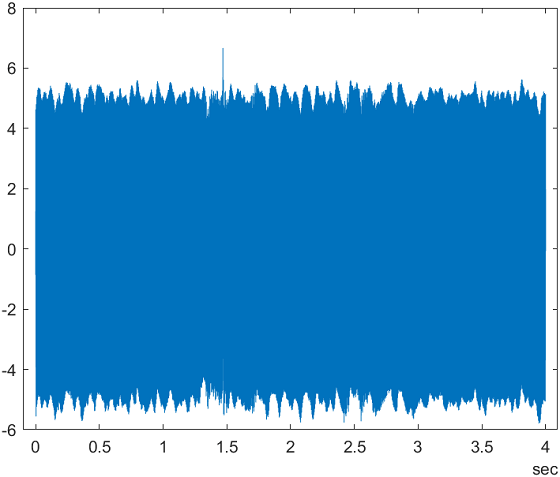 For this example, the microphone is connected on channel 0 of National Instruments® device 9234 on CompactDAQ Chassis NI cDAQ-9174 with ID cDAQ1Mod3. This module is in slot 3 of the 'cDAQ-9178' chassis with the name 'cDAQ1'. Create a session and add a channel with Microphone measurement type. Set the microphone's Sensitivity to the value specified in the sensor's data sheet. For this sensor, the Sensitivity value is 0.037 Volts/Pascal. Examine the channel properties to see changes device configuration. Set the duration to 4 seconds and the rate to 51200 scans per second and start acquisition. 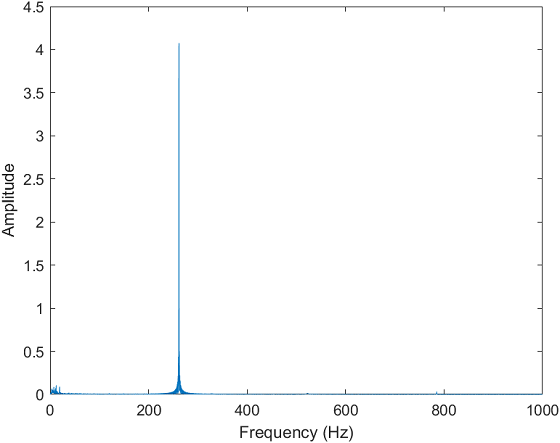 Notice that the plot shows a spike at the 261.626 Hz. This matches the frequency of the tuning fork.